Delivery to you by a professional hog roast caterer who can answer questions and give you a quick demonstration. We also offer a package which includes the hog as well. Not only is hiring a machine a great money saving alternative its also lots of fun. It gives you a real sense of achievement as people compliment you on the great food that you created from scratch all by yourself. Most people never hire a machine just once they enjoy being a hog roaster so much they come back to us time after time. We have a wide range of machines available for hire and if you give us a call or email we will be more than happy to discuss your requirements and find the machine that’s best for you. Remember your options are not just limited to hog roasting. 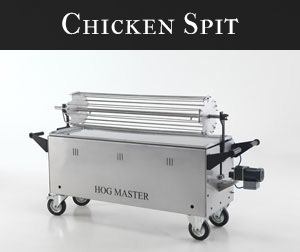 You can enquire about our special machine attachments from hog roast hire Evesham and enjoy barbecue food or other spit roasted meats as well. And here’s the secret to hog roasting success. its all about the standard of machine you use and quality of pig. If you hire a machine from us you know that it will be reliable, in perfect condition and top of the range. 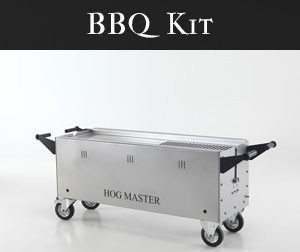 This is because we use only the finest hog roast equipment all fully CE registered, our machines have been designed by the countries hog roasting experts you simply won’t find another company who can offer the same quality. If we are supplying the hog or another type of meat for you then again we will bring you only the best which will result in the perfect roast. We only use good reliable butchers and farmers to provide our meat. All of whom we have worked with for years and we know we can rely on them to deliver the best. if required we can arrange for organic or halal meats please just ask when making your enquiry. 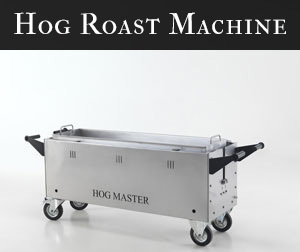 Are you contemplating having a hog roast machine hire this year? Perhaps you’re hoping to make the most of whatever is left of the infrequent sunshine, or you might be planning a nice warm meal to warm yourself this winter. Whatever the occasion, if you do choose to have a hog roast this year, you won’t be disappointed. You can hire a hog roast machine from us and we will even provide a pig that can serve between 160-200 guests! We can also provide smaller pigs to suit your needs, so if you were planning something a little more intimate, we could accommodate for that too. In fact, with our machines, we can accommodate for pretty much anything. Using the attachments provided with our machines, you don’t just have to cook pigs. You can cook chicken, beef, hot dogs, burgers, even the Christmas turkey. That’s why our Sutton Coldfield hog roast machine hire is so special, they can cater for anything. Birthdays, wedding receptions, fetes, bonfire night occasions and so many more. No matter how big or small your event is, you won’t be disappointed. One of the best things about hiring a machine from us is that you can use it for as long as you need it, we will drop it off at your address and collect it when you’re finished with it too. It doesn’t matter where you live, whether you are reachable by road, sea or air, we can serve you anywhere in the country, from the Midlands and beyond. Another good thing is that you have so many options, not just what to cook either. Yes, the hog roast hire Evesham service can be used as such, or it can be used as a barbecue etc, but the possibilities do not stop there. Our machines do not require electricity, and can therefore be used absolutely anywhere you like. They’re also very manoeuvrable and accessible, and as they have retractable legs, they can easily fit into any given venue. Your options don’t stop there. You can still choose whether you want to use our catering team to operate the hog roast machines for you, or if you want to have a go yourself. If you decide you want to have a go yourself, you still won’t be unassisted. All of our machines come with an instructional DVD providing guidance in how to construct them within ten easy minutes, and if you are really struggling, you can just call our offices between nine am and five pm five days a week; one of our operators will be glad to provide assistance. You can also rest assured in the knowledge that all of our machines are CE marked products, guaranteeing that they have been tested to the highest levels of safety and hygiene. You really can’t go wrong. Your other option is to hire our dedicated catering staff to do everything for you. Our catering staff works seven days a week, to give you an indication as to how much we care about you and your event. We know how stressful planning a party can be; whenever my mother plans a party she is so overcome with stress that she ends up not eating anything. We want you to enjoy your day just as much as you and your guests do, so by hiring our caterers, you can put your feet up and relax with the morning paper sound in the knowledge that our team are taking care of everything for you. They will prepare the food, cook it for you and serve it to your guests, whilst you sit back and enjoy your day. At the end of the day, it is your party, so we really don’t mind which way you choose to enjoy it. There are so many options readily available, from the menu to the way you cook, that we are used to our customers individual needs, we are yet to encounter anyone who has presented us with a wish we haven’t been able to carry out, and we take pride in the knowledge that we are the best catering company in the Midlands bar none. If you need to buy more gas for the machine, this too is possible. An extra bottle of gas can be purchased from us for the low price of just £25, ensuring your party carries on for as long as you want it too. So why not give us a call today at Hog Roast Evesham, and begin planning your day? We promise you will love it.